shrieks that pierce the mind into utter numbness, majestic drones and mysterious string paradoxes. There are two possible climaxes to this wild conjuration. The first stands few minutes into the track, with the horrifying howling of sirens that are shaking the foundations of my apartment. The second climax, few minutes before the end, is a calm and balanced oasis amidst the raging strokes of marvelous chaos. Between these two points there is a beautiful ocean of wonders and unfolding secrets that everyone should know. 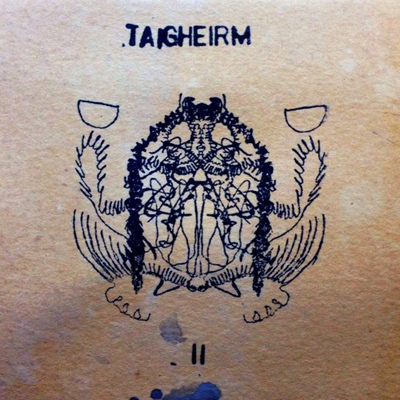 Taigheirm II is a wonderful gem in the collection of sounds by Shifting sands congregation. Find it and grab it.